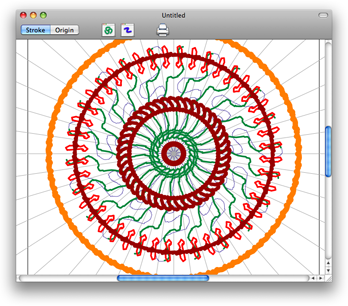 A drawing application that makes it very simple to create drawings based on symmetry. As part of my senior Capstone project, I did research into generative drawing and computer-based drawing tools. I built several applications to play with some of the ideas I saw in that research. Harmon was the third application I built, along with Episketch and Eurydice. During my research, I saw several kinds of artwork that were heavily based on forms of symmetry. The range of artwork was surprisingly diverse, going from Escher's tesselations to mandalas to paper snowflakes. Though it is possible to make all of that artwork with existing tools such as Illustrator or Photoshop, it can be tedious and it is prone to error. There was no application I could find that made symmetric and repetitive drawing easy for users. Harmon was an application I designed and built to fill in that gap. It's what I called a "harmonic" drawing application, in that it makes it very simple to make drawings based on symmetry. 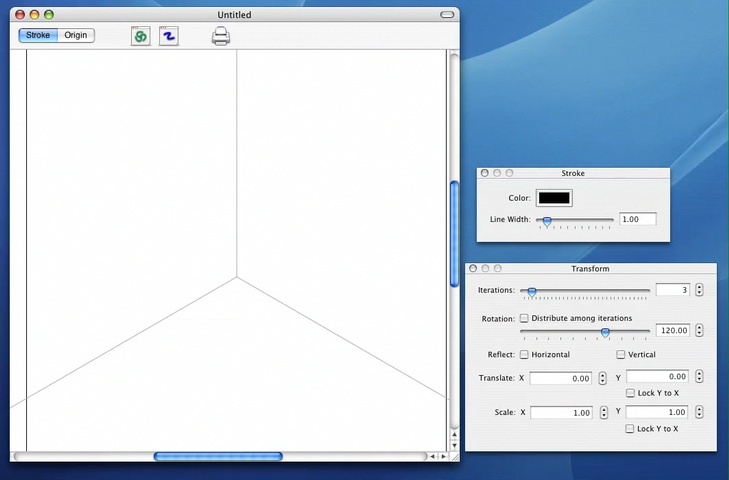 The user is able to customize the form of symmetry they would like to use, and then they are able to draw the symmetry in real time. The application lets the user choose which affine transformations to apply to lines as they are drawn. 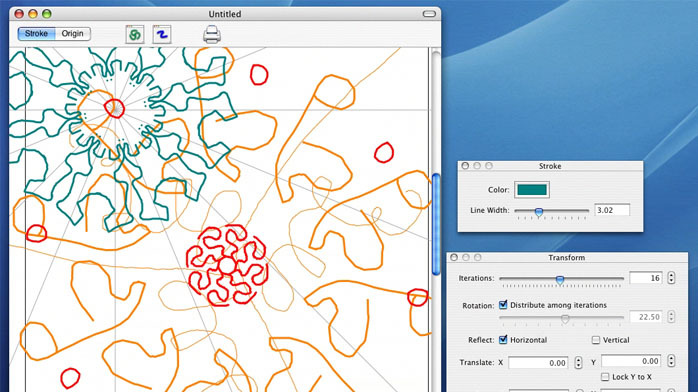 Lines can be scaled, rotated, reflected, and translated in real time as you draw. The origin for those transformations can also be moved. The user can also the color and line width of the lines. 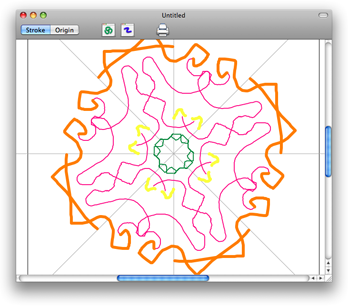 The application makes it simple to draw paper snowflakes, mandalas, and other forms based on symmetry.